After a naked Black Friday weekend, our mannequins have finally dressed up in their favorites from our assortment of new holiday product. 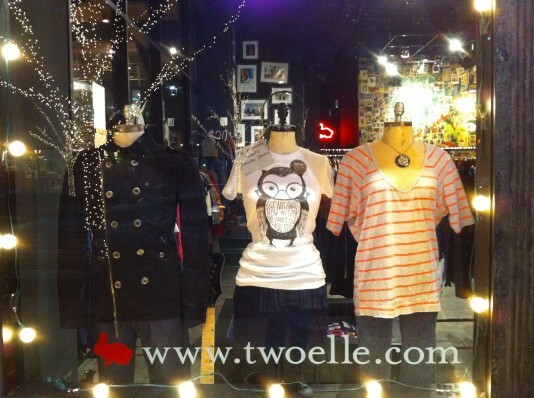 Bartleby has chosen the new black Jedidiah coat, Beatrice sports the owl tee whose proceeds benefit Invisible Children, and Gertrude is going casual-chic with a new Brandy Melville striped top. We’ve almost sold out of some of the new styles, and we plan to get lots more in before those fated holidays. What will you choose? 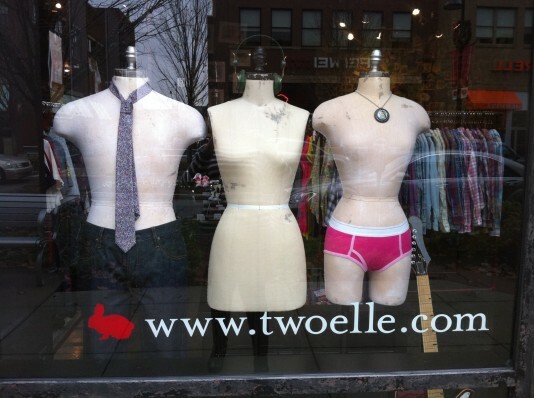 Friends, our mannequins have exercised the only power they have and demanded new outfits. We’ve decided to follow their lead and re-outfit the entire store for your Black Friday pleasure. Visit us in the next couple days as we mark-down existing product to clear it out for brand new lines! And then come by this weekend to see the debut of our new line-up, featuring recession-friendly prices and gift ideas for everyone!